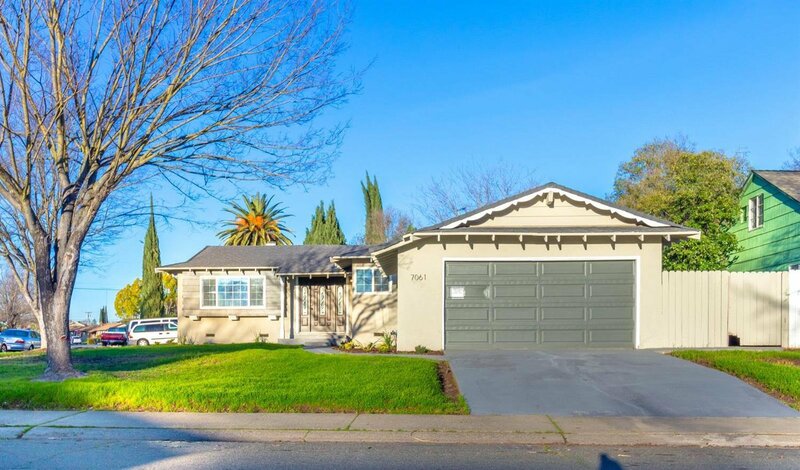 This Sacramento home radiates with curb appeal, flaunting a freshly manicured lawn and fresh designer paint scheme. The interior further enhances the overall appeal of the home as it showcases sweeping laminate flooring into the living room, where it is illuminated by natural light and features a tasteful, stone fireplace. The designer kitchen is full of character boasting white shaker cabinetry, stainless steel appliances, and chic tones. From here you will be escorted to the bedrooms, all lined with plush carpeting for comfort, and bathrooms that are tranquil, featuring modern fixtures and finishes with clean, calming accents. If fresh air is what you seek, journey to the privately fenced backyard where there is a patio and brick stone grill to dine with friends or host a party! You won't want to miss out on this home, so see it today! Listing courtesy of Maxim Properties. Selling Office: The Home Group.